Because today is Halloween, I'm not posting a television program cover. 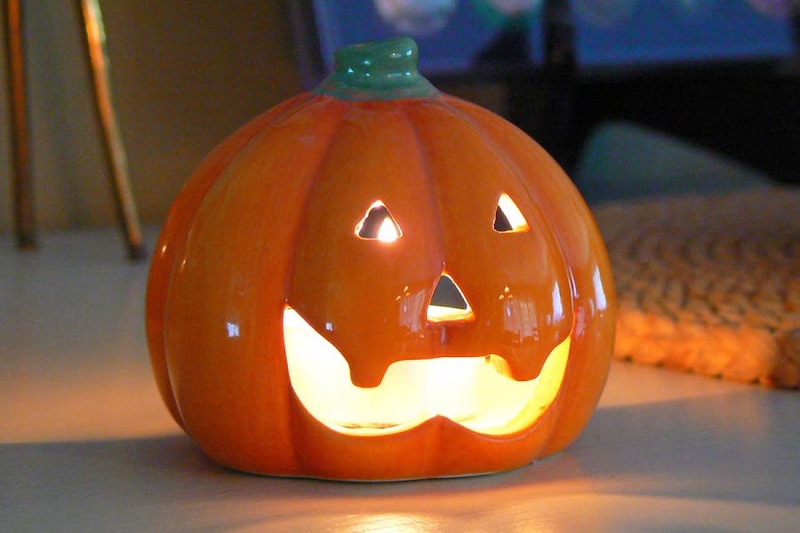 Instead, you get my one and only Halloween decoration: a ceramic jack-o-lantern lit by a tea light. We do have a black cat around here somewhere, probably snoozing in his bed. I found this in 2009 at a Walmart in the US for 50 cents in a post-Halloween clearance sale. 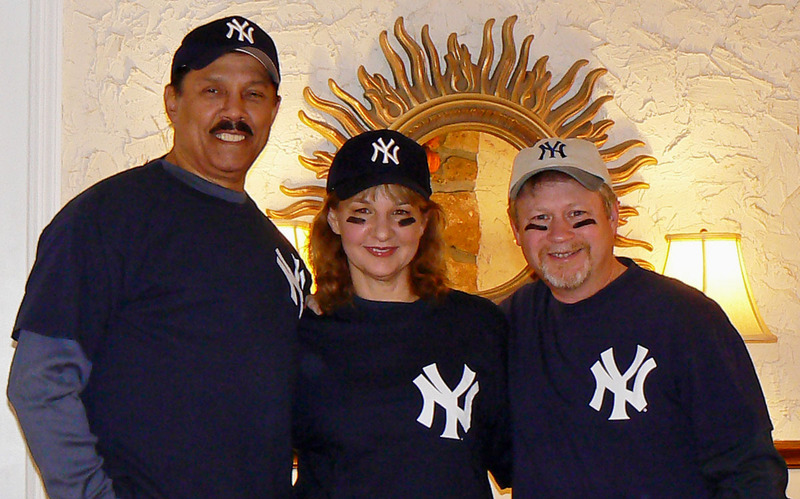 The was the first time in decades, and the last time since, that I dressed up for Halloween. We had a great time! Halloween is not a popular holiday in France, although some places do give it a try. The big holiday is tomorrow: All Saints Day. Schools have been on vacation for the past two weeks and the day is normally a day off from work, except that this year it falls on a Sunday. Them's the breaks. 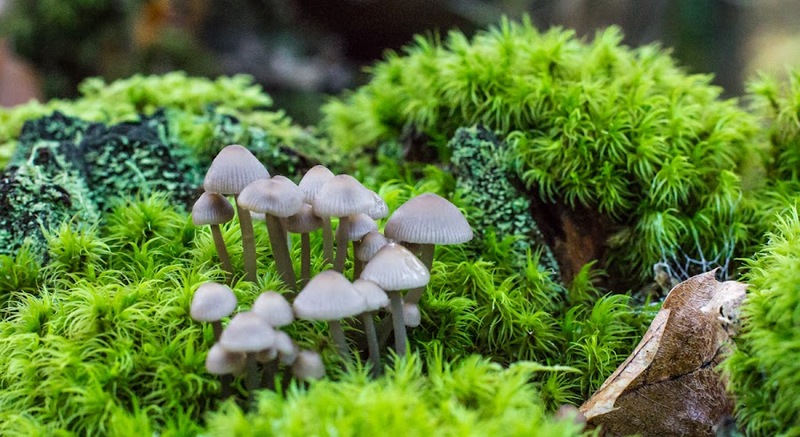 A shortcut to mushrooms? This image might have worked better with the macro lens, but I wasn't carrying it at the time. Still, it's not bad with the 50mm. There is a particular path that Callie and I like to take on our afternoon walks that runs down the hill through some woods. It's very shaded and often damp this time of year, and there are many fallen trees and stumps where mosses grow and mushrooms proliferate. Very small fungus in the moss, 50mm f/6.3, 1/80s, ISO 6400. These are certainly not edible mushrooms, at least I don't think they are. I will not attempt to find out. They are very tiny. But, as I read somewhere at sometime, all mushrooms are edible. Once. I'm not sure they ever left. But they are certainly active. These are fresh mole hills. I know because the previous mole hills were removed before I cut the grass last week. And I will have to remove these before I can cut again, and it looks like I may need to cut again over the next couple of weeks. We're having relatively warm days and it's been raining. The grass is growing. 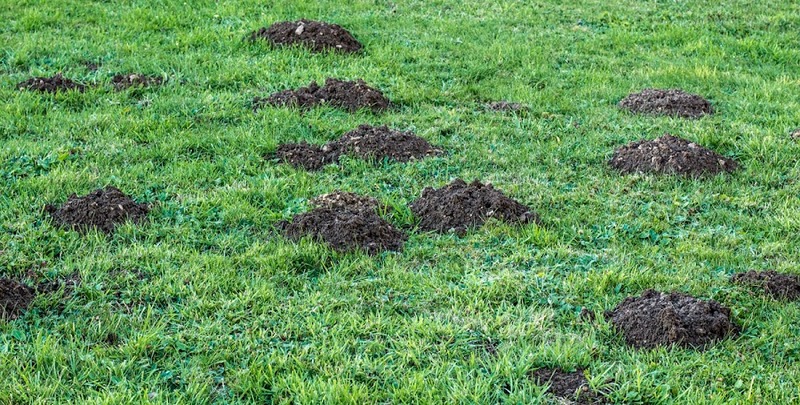 The moles' handiwork in the back yard. And that's not all. There are mice in the pantry. 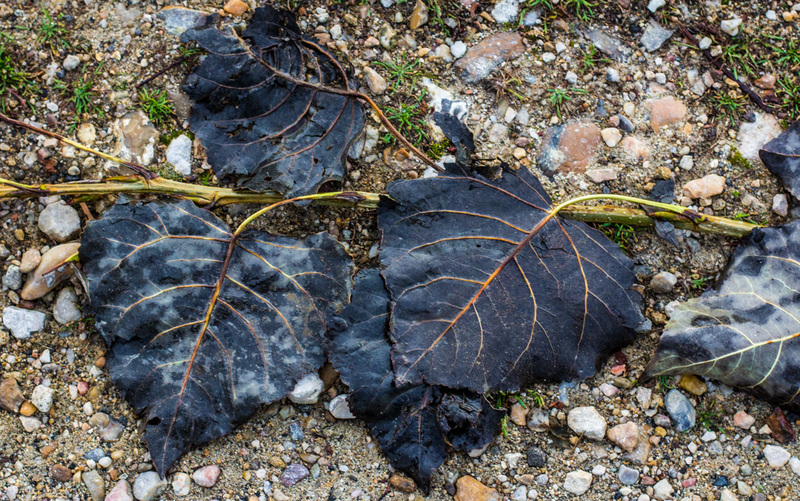 They haven't done any harm, yet, but they're burrowing in the sandy floor and leaving, well, "leavings" here and there. I set up two snap traps, but they don't seem to be sensitive enough. The bait is obviously being nibbled on, but the traps don't spring. We're going to try live traps next. The cat is no help. He must be outdoors hunting when the indoor mice are active. But, even then, he won't hunt moles. I saw the doctor on Tuesday and he said that I have tennis elbow. Une épicondylite, or epicondylitis, caused by repetitive stress to the elbow. Must be from all the tennis I watch on television. I used the internet to look up and research tennis elbow. He gave me a prescription for a topical anti-inflammatory and said I shouldn't do whatever I was doing for a while. I think the injury happened when I was trying to start the chainsaw after flooding the engine. Repetitive pulls on the starter cord. Not very smart. This is the view from the den. It's a narrow view because of a huge fir tree right outside the window, and the tilleul (linden tree) a little farther out, part of which you can see in the foreground on the right. But it's still a nice perspective out into the vineyards behind the house. And now it's all golden. Looking westerly along the dirt road through the vineyards on Sunday morning. I should be taking advantage of the nice days to get some hedge trimming done, but I'm not. The big trimming will be done by the pros, but there are a few smaller hedges that I will do myself. One day. And there are all the leaves to rake out of the driveway, even though the trees are not finished shedding them yet. An indoor shot for a change. This is a little model plane that I got at the airport in San Francisco one year. It's a Boeing 777, the plane that I was flying on that day to France. Those planes were new then and they were very nice and comfortable to fly in. Of course, I was not sitting this far forward in the cabin, but farther back in the economy seats. 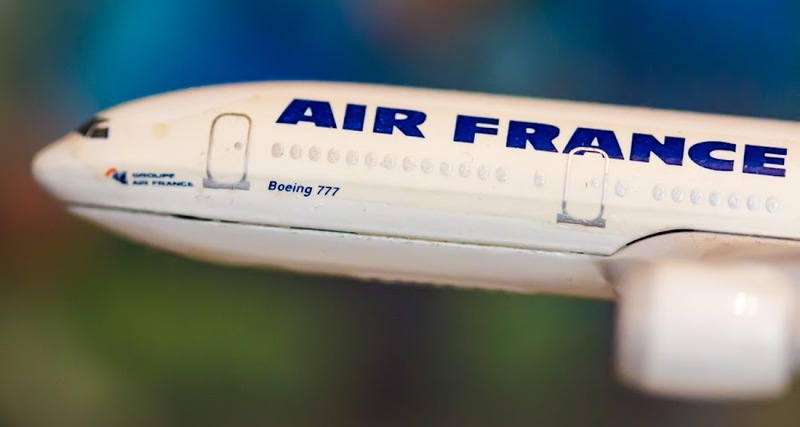 Model plane, 100mm (macro) f/2.8, 1/100s, ISO 1000. I have yet to fly on an Airbus 380, the big double-decker planes. I'm sure I will one of these days. Probably between Paris and New York. One of these days. We'll see. It's official. We're now on Central European Winter Time. Daylight Saving (or Summer) Time ended in the wee hours this morning. We got our hour back. Now it will get darker even earlier in the evenings; the sun will set today just before six pm. The depth of field is a little off in this shot (the grapes on top are out of focus), but I like it anyway. Of course, it will get lighter a little earlier in the morning, but as we move toward the solstice and the days get even shorter, we won't notice so much. I watch a lot of tv, but apparently I don't watch enough. 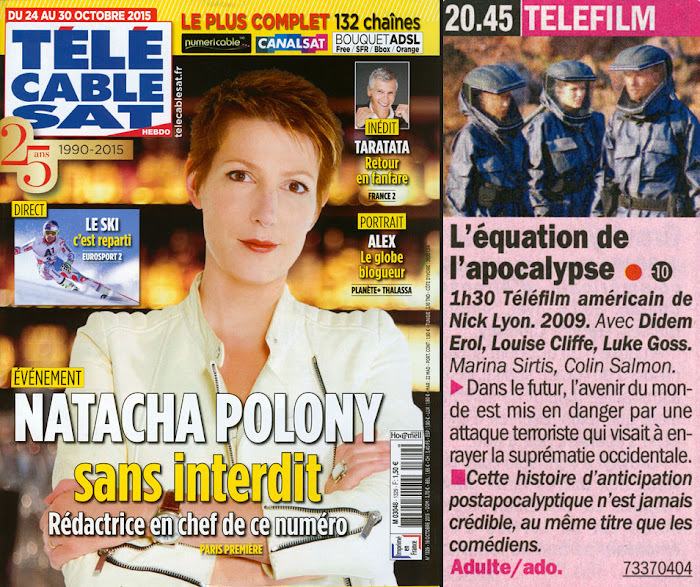 I've not heard of Madame Polony, who has, apparently, been the host of top shows on French tv and is now, at least for this issue, the editor and chief of our tv program magazine. And Nagui, a host I do know, is bringing back one of his signature shows, "Taratata," a late night popular music show, à la "Don Kirshner's Rock Concert" for those Americans who remember. I don't stay up late enough to watch it. Another end-of-the-world disaster flic. But, it's got Marina Sirtis (Deanna Troi for you Star Trek fans)! L'équation de l'apocalypse (Annihilation Earth). American made-for-tv movie. Directed by Nick Lyon, 2009. With Didem Erol, Louise Cliffe, Luke Goss, Marina Sirtis, and Colin Salmon. ► In the future, the fate of world is endangered by terrorists who want to put an end to Western supremacy. This end-of-the-world story is never believable, and neither are its actors. Morning fog has been the rule this week, along with some light rain. It's normal weather for this time of year and on through November. When we have high atmospheric pressure, the low clouds and fog get trapped in a temperature inversion. They may or may not dissipate. When we have low atmospheric pressure, we get clouds and rain off the Atlantic. Film at eleven. Callie pauses on our way back home from a foggy morning walk, 50mm f/6.3, 1/100s, ISO 400. I wonder if younger people know that expression, "film at eleven." When I was a teenager, the late news on television in the US came on at eleven o'clock pm, so when stations did a teaser for late breaking news, they'd often say something like, "...such and such happened earlier today, film at eleven." Notice the word "film." Videotape was not yet widespread back then, and digital video didn't even exist. And since those days, a lot of local news programming moved up to ten o'clock. That and 24-hour news stations essentially killed off the eleven o'clock news programs around the US. So "film at eleven" has become a completely obsolete expression. We'll have more on that story after the break. Well, it's always vine time around here. Or is that wine time? 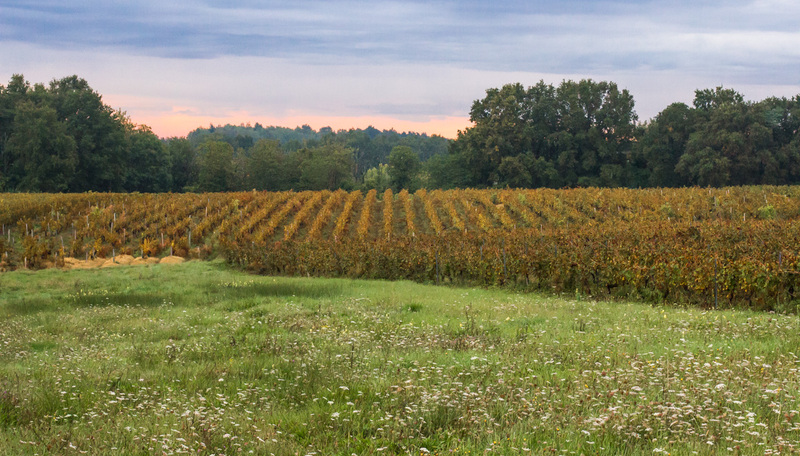 I think the vineyards are peaking right now in terms of fall color. Most of the leaves are bright yellow, but soon they'll go brown and fall off and pruning season will begin. Fortunately, I'm a spectator and I don't have to be out there in all kinds of weather working on the vines. Reds and yellows in the same group of vines. We got our front gate repair done yesterday. The gate people fabricated a replacement for the broken lame (picket) while we waited. The picket was damaged in the wind storm five years ago when tiles blew off our roof. The gate looks almost like new again. We also got a preliminary estimate for replacing the worn out back garden gate. The staff smiled when Ken showed them a photo of the gate. They said that it looked quite fatigué (tired). That's a polite way of putting it! We may get another estimate before deciding what to do, but I really liked the people we talked to yesterday, so we'll see. I also asked for information about a new garage door, a project that may go on the list for next year. I've noticed that the people who work in the vineyards have been out pulling up old stakes for replacement. The stakes are mostly wooden, but some growers are now replacing them with galvanized steel so that they last longer. Others replace old wooden stakes with new wooden stakes. 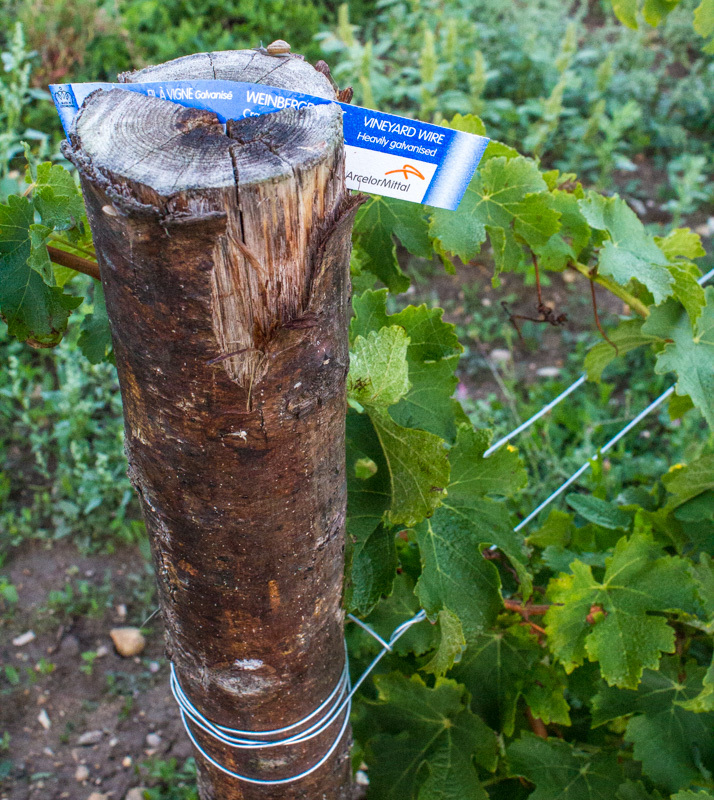 An old vineyard stake that's been pulled up, waiting for its replacement. Our old wooden back gate needs replacing. It's literally falling apart. The wood is rotten and new paint would be wasted on it. Ken and I are talking with a gate company about a replacement. We want something very minimal, and not necessarily wooden, but we're pretty sure it will have to be a custom job because the dimensions are not standard. Nothing in this house is standard, we've found out over the years. More and more the leaves are turning, with shades of yellow and gold being the predominant colors around us. 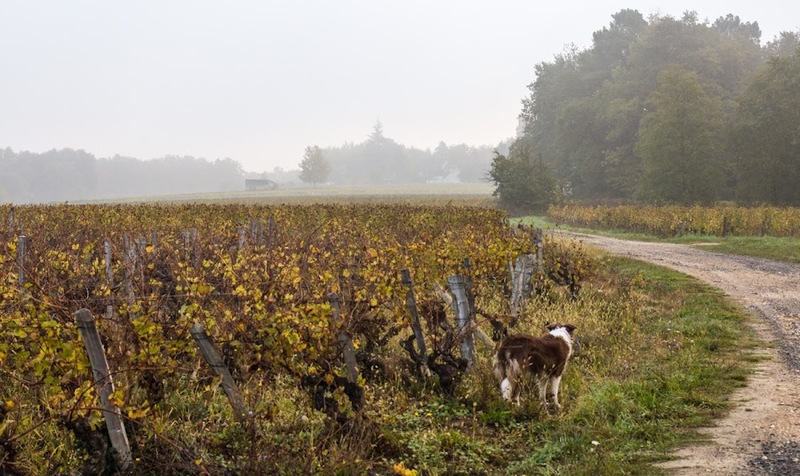 There are plenty of evergreens, and here and there a tree or plot of grape vines will show some red. Leaves are starting to drop at a regular rate, but most of them are still hanging on. Plenty of yellow and gold. Just a few weeks ago these vines were a very deep green. Before long they will be bare. I did manage to get started on cutting the grass on Monday afternoon. I'll finish up today. And Ken tilled up a small section of the vegetable garden and planted seeds for more collards, kale, and chard. They're under a cold frame so we're hoping they'll sprout, even with the weather getting cooler. It's an experiment. 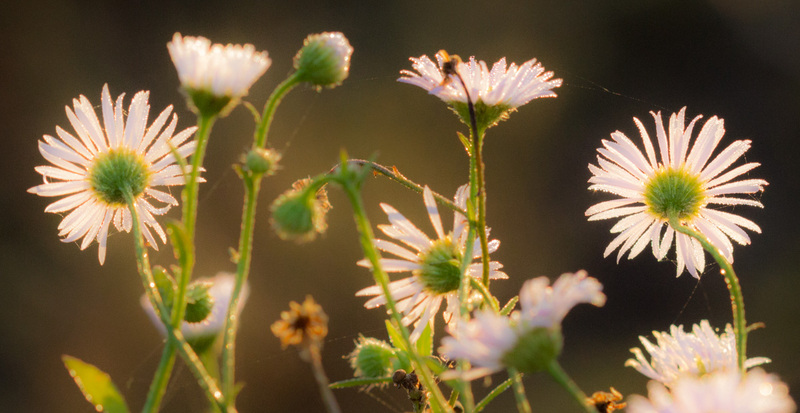 These little daisies are a different kind from yesterday's version. I don't know what, exactly, they're called, but they grow on tall stems with multiple flower heads. The others are single flowers that grow very close to the ground. Little daisies, 100mm (macro) f/6.3, 1/320s, ISO 800. Two weeks remain in October. It's almost November already. The weather is neither cold nor warm. Just chilly and less chilly. In the morning, the grass is wet with dew, so it can't be cut until the afternoon. The last of the wildflowers are fading. Along with the light. We'll be changing our clocks next weekend and the days will feel even shorter as we head toward the solstice. These daisy petals droop before falling off altogether. The weather is staying relatively dry and I should be able to cut the grass in the next few days. Star Wars! Nothing but Star Wars... I hear Bill Murray singing the Star Wars theme as lounge singer Nick Winters from back in the day. I was seventeen years old when the first Star Wars movie was released, just graduating from high school. And now, thirty-eight years later, the seventh film is about to come out in theaters. I'm sure there will be some re-showings of the series on television, not that I don't have all the movies on DVD already. Given the choices on this week's cover, I'd rather not kiss the Wookiee. This week's bomb sounds very familiar. But then, don't they all? Firequake. American/Canadian made-for-tv movie. Directed by Geoff Browne, 2014. With Alexandra Paul, Kirsty Mitchell, and Luke Cousins. ► A laboratory has created a hyper-powerful energy source that spreads beneath the Earth's crust causing unprecedentedly violent earthquakes. Alexandra Paul half-heartedly tries to make something of an inconsistent character in an overly predictable story surrounded by failed special effects. Today is the tenth anniversary of my blog! It's hard to believe that it's been going on for ten years now. And this is the 3,369th post. That's not too far from one post per day for ten years. I never thought it would go this long. And I have no plans to stop in the foreseeable future. 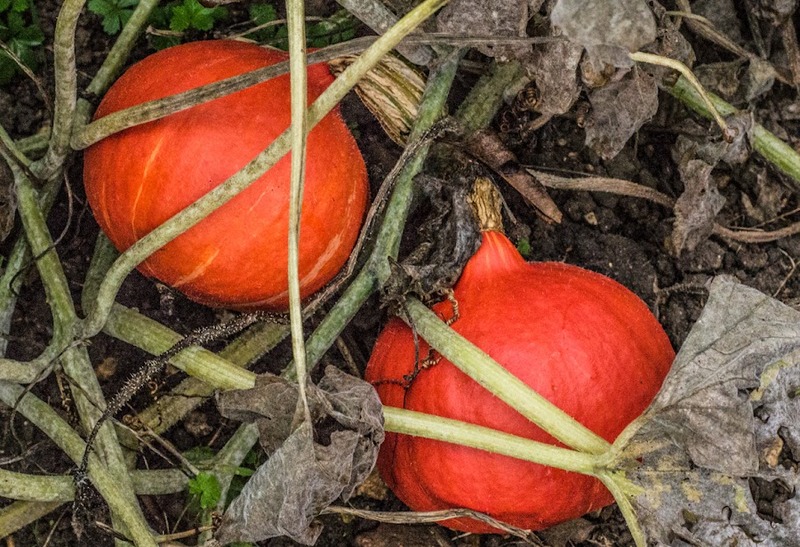 Today's 50mm photo: potimarrons (red kuri squash) in our garden, 50mm f/7.1, 1/160s, ISO 6400. The blog quickly became an outlet for my amateur photography habit as well as a record of our daily life here in the center of France. Ken's been writing his blog just as long (his blogiversary is next week), so between the two of us we have a sort of daily journal of the last ten years on line. By the way, we don't consult on the subjects of our daily posts. Today, I noticed that we each put up a very similar photo. That happens every now and then. Blogs were very cool when we first started, but these days more quick and mobile social media applications like Facebook, Twitter, and Instagram seem to be dominant. I once said that blogs had become the eight-track tapes of social media. That may have been premature; there are still plenty of blogs around and many that I read daily, along with others that I look at less frequently, but regularly. Thanks to all of you, past and present, who visit the blogs! You'll be ready for winter when I get done showing you all these leaves. At least you don't have to rake them. Well, I don't, either; they're out in the vineyard. But our maple trees are dropping leaves on the driveway like crazy right now. I'm always torn between raking them as they fall or waiting until they're all down to rake them up. I suppose "torn" is not the right word since I always wait. I got industrious and raked the current batch of fallen apples into little piles. Now it's time to pick them all up. The wheelbarrow's wheel is fixed, so I have no excuse. After that, it will be time to cut the grass again. I wonder if it will be the last time this year? There are no leaf peepers in France, as far as I know. We don't get the fall color spectacle that parts of the US and Canada get this time of year. 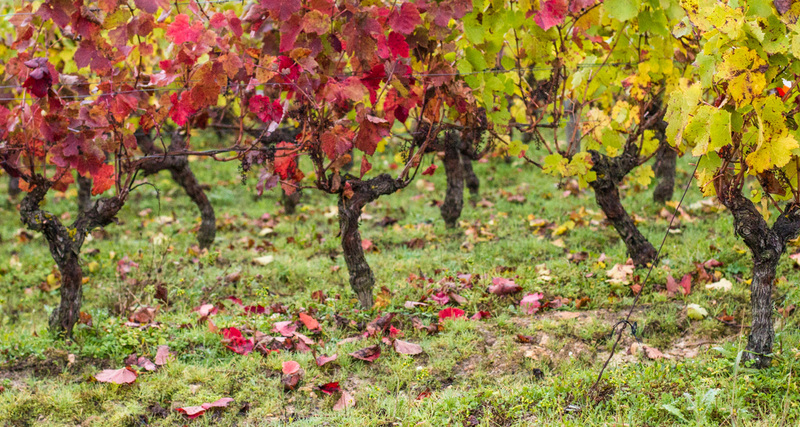 Still, there is color to be seen if you look for it, especially in the vineyards. Most of the trees at our place go yellow, but the leaves on the two maples out front turn a nice orange before dropping off. I'll post some shots of leaf color over the next few days. 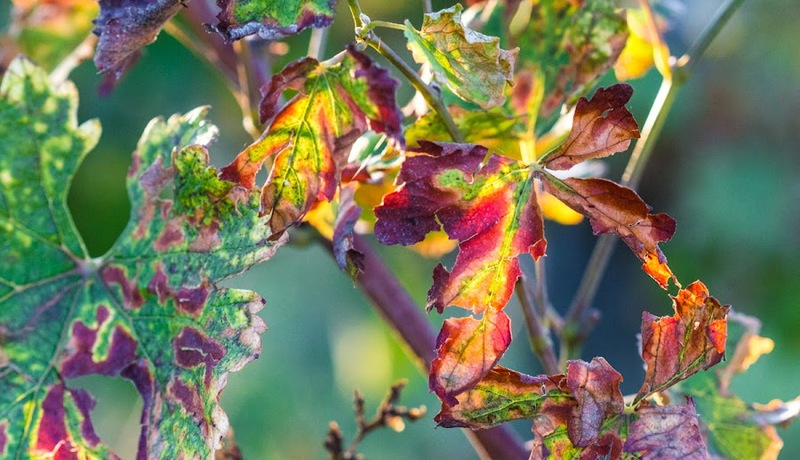 Some yellows, oranges, and reds appear in these grape leaves. It's not as cold as predicted this morning, but it's colder than it has been since last spring. The central heat is on and is warming up the house quickly. Granted, the house has not had a chance to cool down too much, yet. Sunny days and afternoon fires in the wood burner keep things relatively warm. I wonder if we'll have an "Indian summer" this year? It doesn't feel like it so far. Each day feels a little chillier than the one before. But you never know. Meanwhile, the last of the Jerusalem artichokes are providing a little fall color for us. 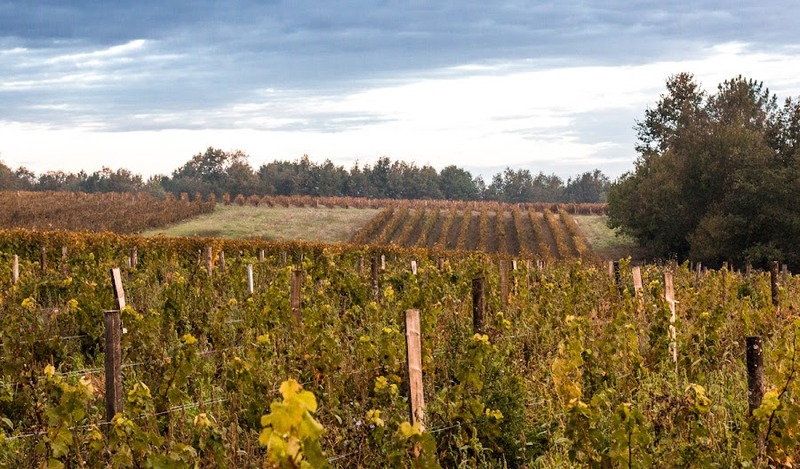 The leaves on the trees are also turning gold and yellow and, in the vineyard, some vine leaves are turning red. They've also started to drop. 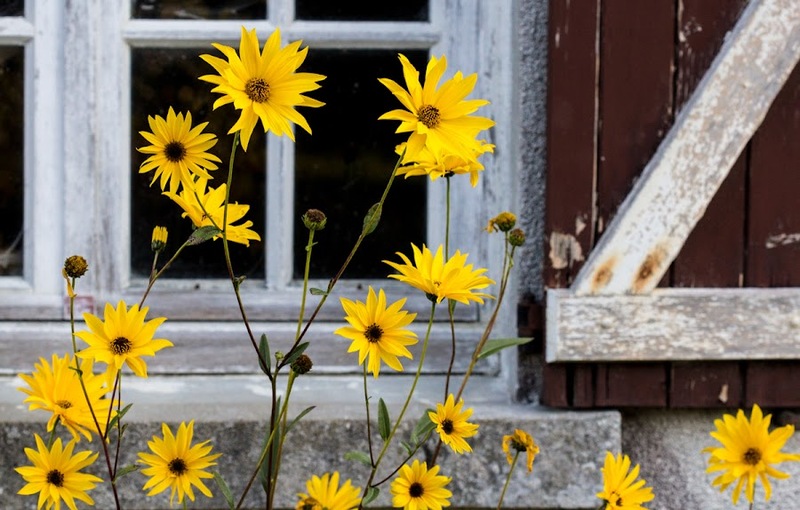 Bright yellow fall flowers in front of the garden shed. We're ready. We've got firewood and, now, the boiler and central heating system are back up and running. We had a few little glitches getting the old system back in working order yesterday, including a few minor leaks in the radiator valves and a pump that was clogged. That just reinforces our decision to replace the old boiler. We also decided to replace all the old radiator valves while we're at it. I can't wait. 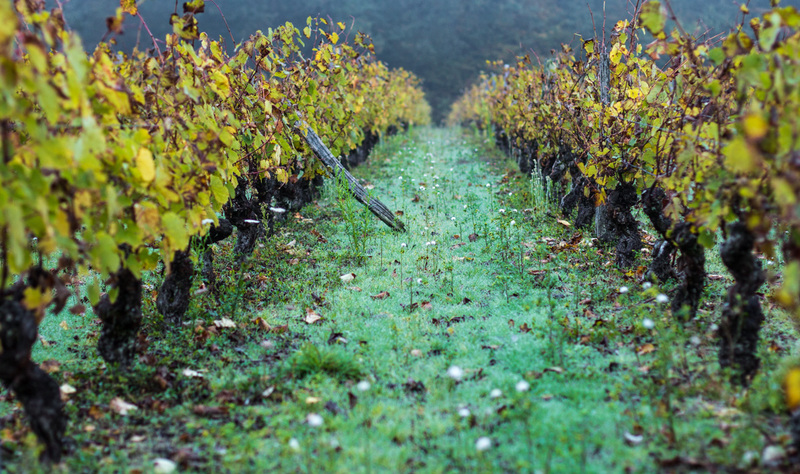 The heavy morning dew and mists of October (and November) make all the spiders' webs out around the vineyards very visible. 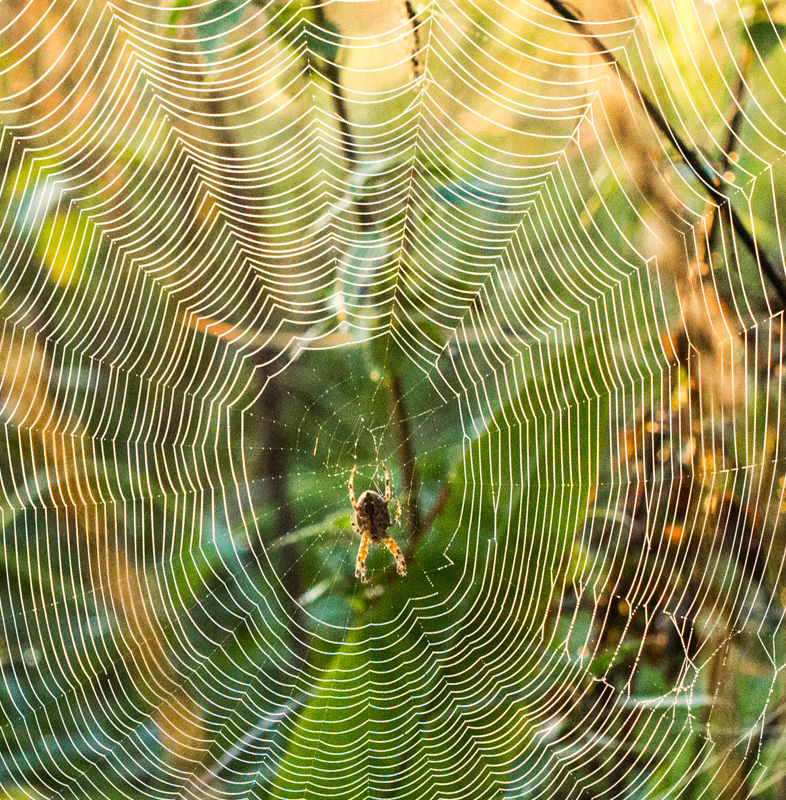 Much of the time I don't see the spiders themselves, but in this web, the occupant was front and center. I wasn't very close when I took this photo. The web was strung up on the other side of a ditch with water standing in it and the tall grasses all around were soaking wet. An even closer shot would have been cool. 1/320s, f / 6.3, ISO 1000, 100mm macro lens. Our mornings have been relatively chilly so I've been building fires in the wood stove to bring up the temperature inside the house. We drained the central heating system last summer when we had two radiators removed and painted. I was hoping that the new boiler we ordered would be delivered and installed before we had to use the system this fall, but it's not here yet. Today we're expecting the heating people to come and re-fill the system and get the old boiler running again, temporarily. We could do it ourselves, but we have a service contract and they offered to come out, so why not let the experts do it? Well, if it isn't Callie again. She was stopped, as usual, waiting for me to finish taking pictures. I turned and saw this and snapped quickly. Luckily, the photo worked. Even if Callie looks a little dorky. She's getting groomed on Wednesday, so she'll look less disheveled. 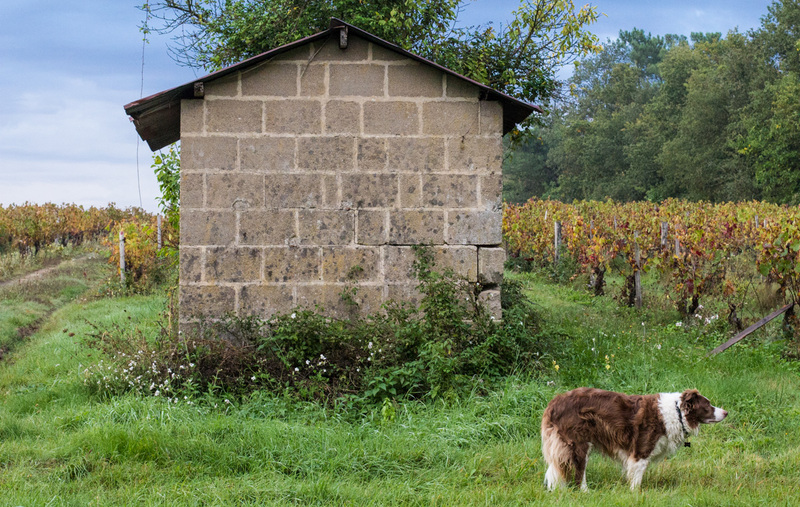 The building is a concrete block vineyard shelter. It's open, abandoned, and full of weeds. Our weather is supposed to get a little colder this coming week. The forecasters are predicting a northeast wind, which means air from Moscow which, in turn, means cold. We have plenty of wood for fires, and the central heating will be back in service on Monday. It's still the old boiler; we're waiting for the new one to be delivered and installed at some time in the coming month. And we're back! Last week's tv magazine finally arrived after a few days. This week's arrived on time. Just in time for the magazine's 25th anniversary issue. Big whoop. 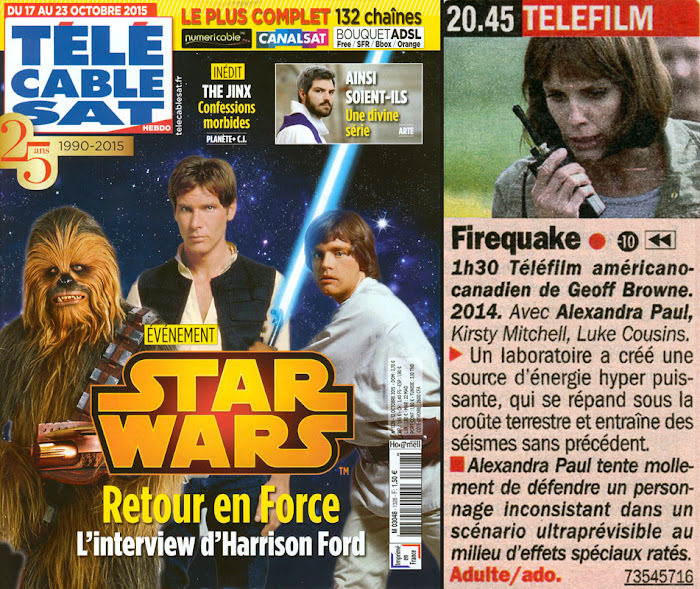 On the cover (and the fold-out extension of the cover) is a collection of current presenters/hosts from many of the channels featured in the guide. I recognize about a third of them. I spared you the fold-out cover of this week's magazine. I don't know how the movie people decide when to use a foreign film's original title, when to translate it into French, and when to just make something up in either or both languages. All three methods are used all the time here. This one, "Angel Eyes," retains the original American title of the film, whereas the film mentioned in the review is a translation of its American title, with one word dropped out ("The Thin Red Line" becomes "The Red Line"). Angel Eyes. American drama. Directed by Luis Mandoki, 2001. With Jennifer Lopez, Jim Caviezel, Jeremy Sisto, and Terrence Howard. ► In the US, a young police woman feels attracted to a vagrant who saved her life. A tragically bad film. Useless. Without interest. Caviezel is far from his superb work in "The Thin Red Line," and Jennifer Lopez leaves us cold in what should have been a moving role. This week I started Monday Macros with plans to share a macro image every Monday. Today I'm bookending the week with Friday Fifties, posting a photo taken with the 50mm fixed lens. When I got the camera a few years ago, I started reading about lenses that I might want. The camera came with two "kit" lenses, both zooms. I read that fixed, or "prime," lenses can give you better quality images, the trade-off being that you have to zoom with your feet, getting physically closer to or farther from your subject. Standing about 3-4 feet above the subject, 50mm f/4.5, 1/125s, ISO 1000. I also read good things about the 50mm prime lens with its wide maximum aperture of f / 1.4, good for low-light situations. So I got myself one. Again, I don't use it as often as I do the zoom lens and I want to get more experience with it. I'm finding that it does a really nice job within a meter or two of the camera, making it great for close shots and portraits, but that it's not any better than my zoom lenses for longer shots, landscapes and such. I've been posting mostly macros and fifties for a little over a week now without identifying them either way. So today, being Friday, you get a 50mm shot. As a kid in upstate New York, I don't remember ever eating collard greens. I had heard about them, but to me they were a southern food, soul food, even. I'll bet they were around, but they were not something my family ever ate. Our greens came in the form of spinach and lettuce (iceberg, mostly). The variety of collards in our garden this year has a bluish-green tint. They cook and freeze very well. I first ate greens in the mid-1980s when I lived in Washington, DC. They were regularly available as a side dish in the cafeterias at work and, besides, I lived with a southerner. Ken introduced me to greens (collards, mustard, turnip) and other southern dishes (NC barbecue, black-eyed peas, Brunswick stew, grits) in those first years. Now I can't imagine living without all of those things. Ken makes pork barbecue often, and we eat grits when we can get them (in fact, Italian polenta is very similar, if not exactly the same). Black-eyed peas are readily available here in France as they're a favorite Portuguese bean. We've even made a version of Brunswick stew a time or two. And, of course, we grow greens in our vegetable garden. 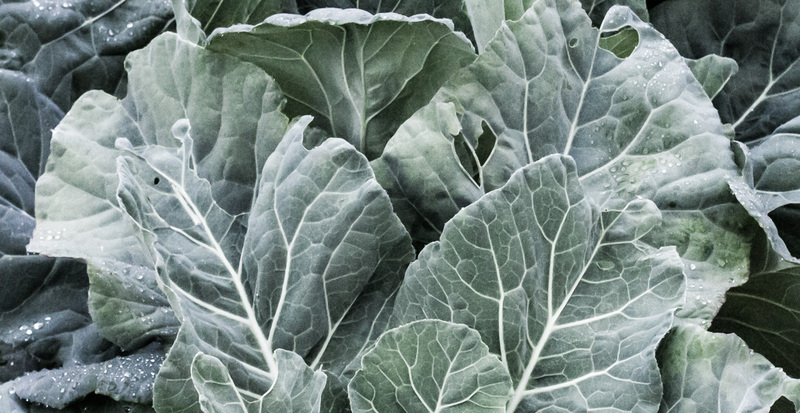 Over the years we've grown good crops of collards (very hardy), mustard greens (more fragile), and, more recently, kale. Good eats, y'all! Someone was conscientious. Rather than toss the label on the ground, whoever strung this vineyard wire (and I'm pretty sure I know who it was) placed it artfully in a crack in one of the posts at the end of a row. This is a new parcel, just planted last year. It's not producing grapes yet, but in a couple more years, when the little vines have grown good roots and sturdy trunks, it will be. The label in three languages: French, what looks like German, and English (British, using an "s" in place of a "z"). I took my ailing chainsaw into the shop on Tuesday and the mechanic there fixed it on the spot. I told him what happened and he nodded, understanding exactly what happened and what needed to be done. He said that when the chain jumps the guide, the teeth get deformed (I knew that) and that they could be meulées (ground) back into shape (I didn't know that). I asked if it would be easier just to get a new chain and he said oh no, there's plenty of life left in the old chain. He took it off the saw and went to work while I watched. Then he said the cutting elements needed to be sharpened and asked if I wanted him to do that, too. I said yes, and about five minutes later the chain was as good as new and back on the saw. The mechanic has worked on stuff for me before and he knows me. He's always got a smile and knows exactly what to do, and I liked that he fixed the old chain rather than simply sell me a new one at twice the price. Callie is used to us having our cameras during our walks and she will often stop and wait more or less patiently while we take pictures. If we're in a grassy spot, she'll take advantage and munch on some grass. 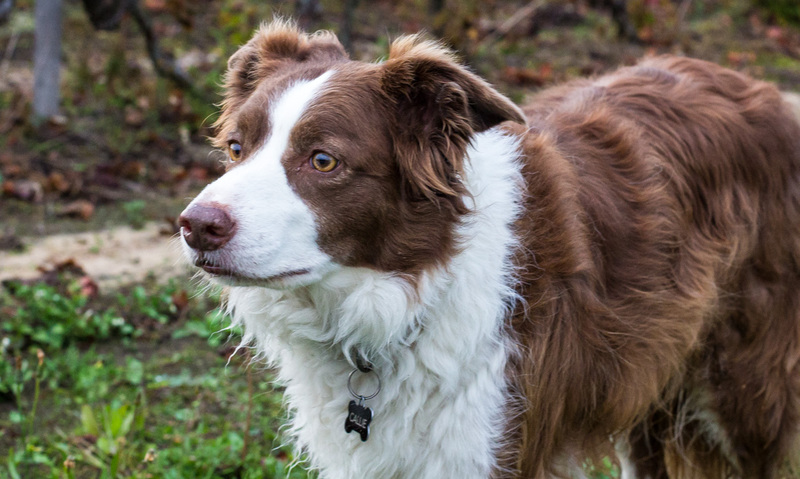 Otherwise, she keeps her eyes peeled for rabbits, deer, and other critters. We were woken early this morning by thunder and heavy rain on the roof. Callie was spooked by the noise and ran down the stairs barking. The storm didn't last very long and we were all back to sleep after a short while. Weird weather for October. I realized the other day that I've been favoring my wide-angle zoom lens lately (18-55mm, f3.5-f5.6). I have three other lenses: a telephoto zoom, a fixed 50mm, and a 100mm macro lens. The macro lens is for taking close-up photos and I've posted a lot of them on blog over the past two years. But I don't take the lens out all that often and I want to do more with it. So I'm going to try to use it more. To that end, I'd like to post a macro shot at least once a week on Mondays, hence the title of today's post. 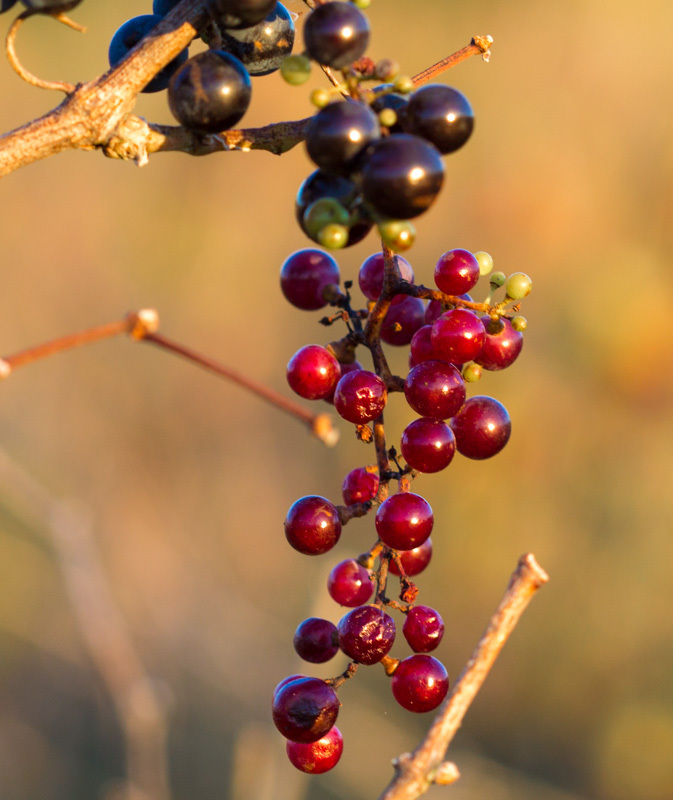 Abandoned grapes, 1/250s, f / 4.5, ISO 320, 100mm. That said, today's image is not really much of a close-up, but I liked the way it turned out. These are grapes in a vineyard parcel that's been abandoned for over ten years. 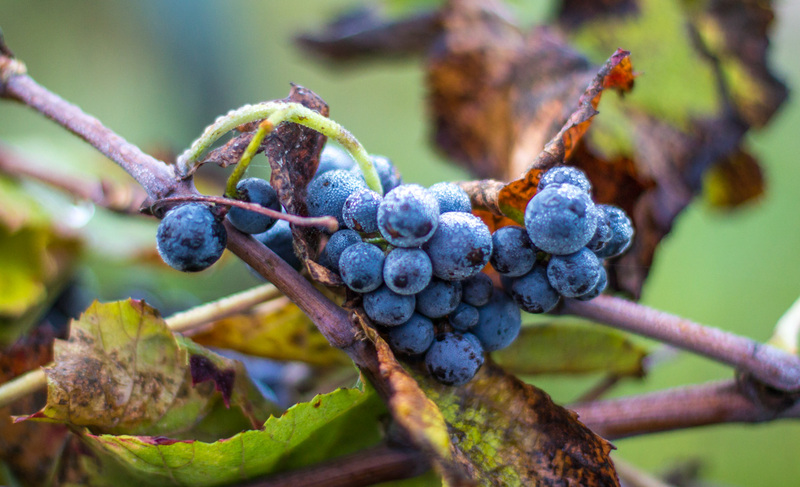 The vines have been left to grow wild with no pruning, and the fruit is eaten by wildlife or it rots. The grapes are small and sparse compared to those grown on well-tended vines. I wonder who owns the land and if it will ever be turned back into a productive parcel? Harvesting is done for the season and I assume the juice is fermenting away. Over the next few weeks will see the bernache (partially fermented wine) come out. It's served by the glass at markets, festivals, and winery open houses, and is sold bottled in local supermarkets. Bernache bottle caps have a hole in them to let the fermentation gasses escape, preventing the bottles from exploding! Neighbors once warned us not to drink too much of it because it can have the same effect as prune juice, if you know what I mean. This year's bernache should be nice and sweet given the hot summer we had. 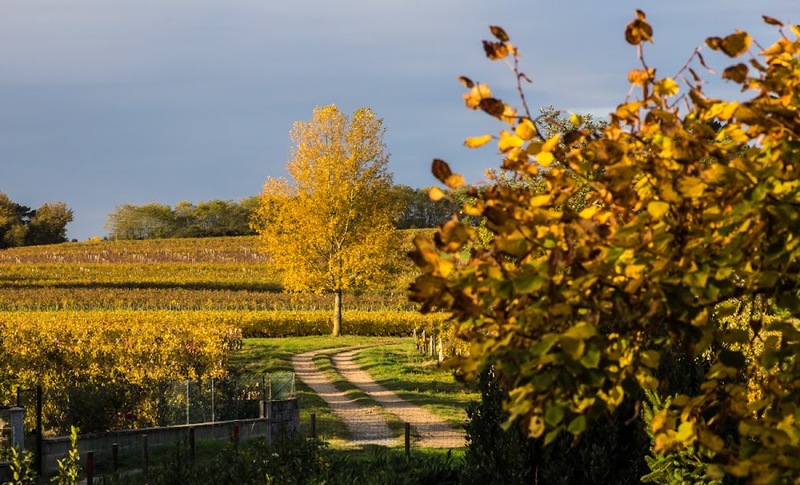 Vineyard leaves turning yellow and gold behind a field of Queen Anne's lace. We're planning to work in the garden this morning, pulling up tomato plants and other vegetables that are "done." There are quite a few winter squash to bring in before it rains again. I don't want them to rot on the ground. Then we plan to plant a small plot of greens (collards and kale) for a winter crop. I have no idea. The tv program didn't come in the mail yet. And that's very unusual. I've been getting this tv magazine in the mail for close to ten years now, and this is the first time I can remember it not getting here on time. I know the subscription is up to date; I renewed it in August. So, today you get autumn leaves. 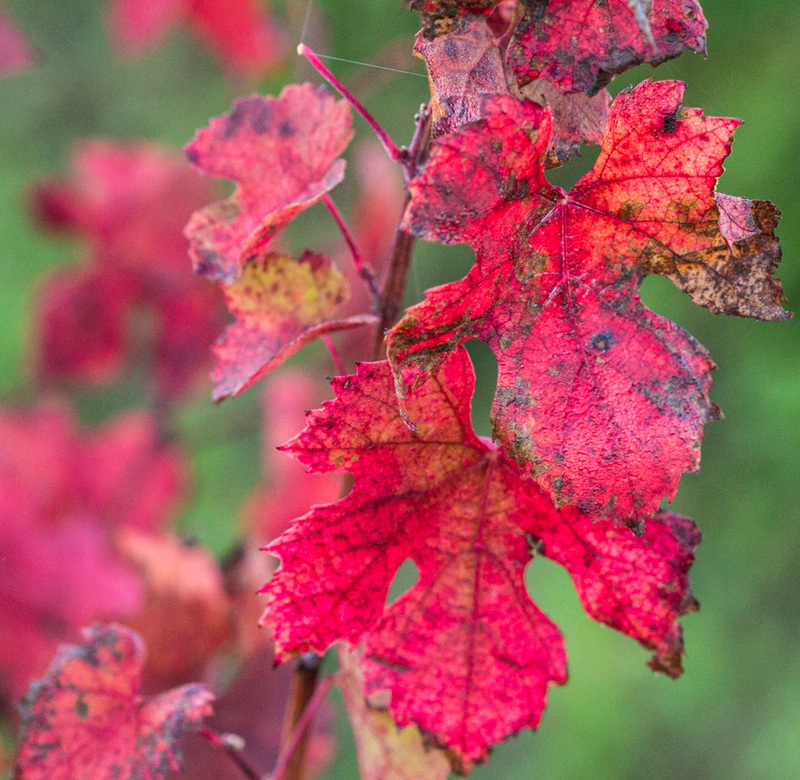 Some grape leaves go brilliant red in the fall. I have the worst luck with chainsaws. I was merrily sawing away on Friday when the chain suddenly came off the saw in mid-cut. Somehow it got deformed and will no longer glide in the guide arm. Ugh! Now I have to take the saw into the shop and either get a new chain or a new guide or both. September, and now October, are the months when our Jerusalem artichokes bloom. At least, we call them Jerusalem artichokes. They do not produce edible tubers as real topinambours (Jerusalem artichokes) do. 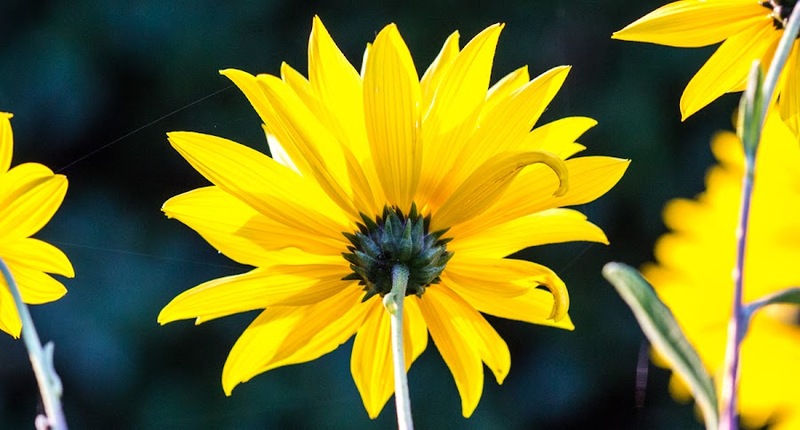 But they're some form or other of sunflower and closely resemble the edible kind. The back sides of the flowers glow in the morning sunlight. I spent a good hour and a half cleaning my little chainsaw on Thursday. The big chainsaw is kaput. I can start it but it won't stay running. It's an old machine that I bought used about six years ago. It's been great, but it's done its time. Since then, I bought a smaller saw for little jobs. I didn't clean the little saw last year before putting it away and now I'm paying the price. I couldn't start it yesterday, and then I noticed that the chain was stuck. All the sawdust and muck from last year's cutting had turned into glue over winter, seizing up the external moving parts. Duh. So, I took the saw apart and cleaned it well (with turpentine, yuck!) and reassembled it. I finally got it started (after having flooded the engine during my first attempts) and it seems to be running fine now. So today I plan to do a little cutting; there are some dead tree limbs and other small trees that need to be cut down along one of the fences. Then I've got a pile of kindling that needs cutting up. I don't need to cut firewood this year since we found a supplier that delivers the wood already cut to size. Maybe. I'm still messing around with the scans of my Paris slides from twenty or so years ago. Most of them are just not technically good enough to rescue. There is a lot of dust that got scanned (cleaning and re-scanning might help that, but that's a project for another time) or the exposures are out of whack or they're too blurry. No amount of software manipulation can bring back a bad photo. This island in the Seine is the historical center of Paris. So here's the last one for a while. It's the western tip of the Ile de la Cité taken from the Pont du Carrousel. You can see the steel Pont des Arts in the foreground and the stone arches of the Pont Neuf crossing the tip of the island behind. The twin bell towers of the Cathedral of Notre Dame are at center-right, the spire of the Sainte Chapelle rises toward the center, and the conical towers of the Conciergerie can be seen to the far left. Since I'm looking upstream, the Left Bank is on the right.